WASHINGTON - Google plans to begin selling electronic versions of new books online this year, posing a potential challenge to market leader Amazon. "We've consistently maintained that we're committed to helping our partners find more ways to make their books accessible and available for purchase," a Google spokesman Gabriel Stricker said in a statement on Monday. "By end of this year, we hope to give publisher partners an additional way to sell their books by allowing users to purchase access to Partner Program books online," Stricker said. "We want to build and support a digital book ecosystem to allow our partner publishers to make their books available for purchase from any Web-enabled device," he added. Stricker did not provide any further details about the commercial book project, but The New York Times said the program is separate from Google's controversial book-scanning program. 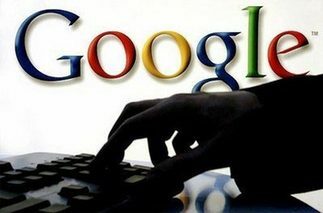 Google reached a settlement in October with authors and publishers who had filed a class action lawsuit alleging copyright infringement over the Internet search and advertising giant's scanning of millions of books through its Google Book Search service. Under the settlement, Google agreed to establish an independent"Book Rights Registry," which will provide revenue from sales and advertising to authors and publishers who agree to digitize their books. The settlement mostly involves out-of-copyright and out-of-print books, however. It still needs the green light from a US district court judge and must also pass muster with the US Justice Department. The Times said the latest Google project would allow publishers to sell digital versions of their newest books direct to consumers through Google. This would place Google in direct competition with Amazon.com, which sells e-books online for its Kindle electronic reader, the newspaper said, adding that the move was "likely to be welcomed by publishers." The Times quoted Tom Turvey, director of strategic partnerships at Google, as saying Google's program would allow consumers to read books on any device with Internet access, including mobile phones, rather than being limited to dedicated reading devices like the Amazon Kindle. Turvey also said Google would allow publishers to set retail prices, unlike Amazon, which lets publishers set wholesale prices and then sets its own prices for consumers.